Speciality Shutters – Ray Ev, Inc.
Ray Ev offers variety of specialty shapes on our Traditional Wood Shutters. We can create Arch Top, Sunburst, Circle, Quarter Arch and Rake Top that require to fit to specialty architectural designs of the window. 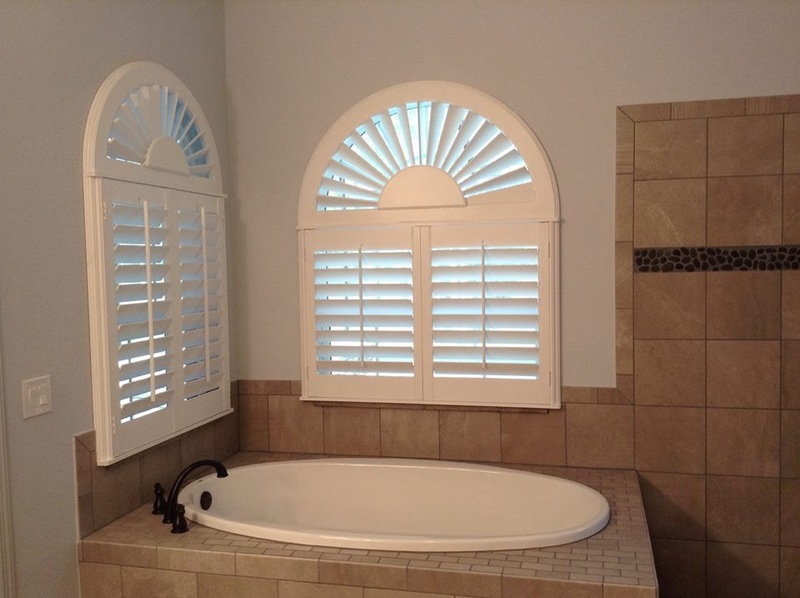 We can also manufacture Traditional Wood Shutters for doors that require a unique and custom treatment with a cut-out in the actual shutter panel for the door handle at additional charge. Our Synthetic and Traditional Wood Shutters can be installed over sliding glass doors, in either a Bi-Fold at no additional charge. We can also use Bi-Pass or Bi-Fold Track system at an extra cost.